Wow! I just saw on TV [Friday July 24, 2015] something amazing. A reporter, who in no way can be considered a conservative Republican, Judith Miller, excoriate the [mainstream] media for it's double standard by not covering the Hillary Clinton e-mail scandal or any of Hillary's other scandals the way they would if it were someone else [I would have added, especially if it were a conservative Republican]. This double standard is something we conservatives have complained about for years and it was so refreshing to hear this expose from someone who is not from the right side of the political spectrum. 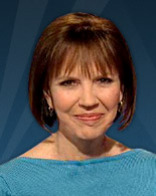 Bravo to the intellectual honesty that this Pulitzer Prize winning journalist, author, and investigative reporter Judith Miller displayed on Jon Scott's "Happening Now" show on the Fox News Channel. I stood up and cheered with her unequivocal denunciation of the media's double standard when it comes to Hillary Clinton. This has got to be CGI of one sort or another. Kudos and MAD respect to Judith for her words here. ThankYou for pointing that out. Not many will hear about her comments. The left is #Insidious and seem to be following Alinskey "Rules For Radicals" and the old Liberal Guard have been planting seeds in public schools and Universities and are an all out assault. Looks like some on the left in Journalism have some moral clarity and journalism like it was meant to be. IE Sheryl Atkinson etc have to pay a price to come out and report Facts. Sad but true.